MX60 is the successor of MX51 VoIP gateway, delivering more processing power in smaller footprint. 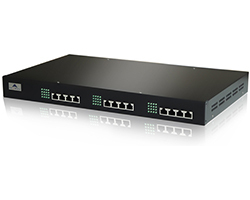 A MX60 provides up to 48 ports of FXS and FXO and 2 Ethernet ports. It is a high cost-effective solution for wide range of enterprise VoIP applications.